Something to Muse About: High Ticket Demand for Peter Jöback "Med hjärtat som insats" Cirkus Show Leads To New Dates! 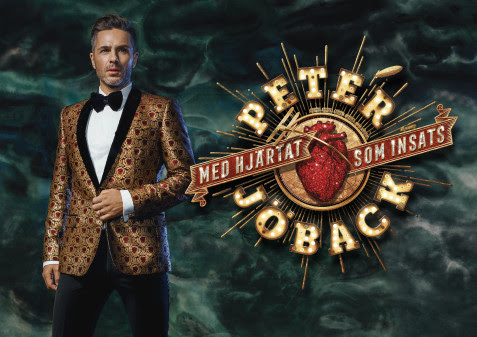 High Ticket Demand for Peter Jöback "Med hjärtat som insats" Cirkus Show Leads To New Dates! After great demand and high ticket jolt to Peter Jöback and upcoming show "Med hjärtat som insats" is released today, more ideas for the autumn show at Cirkus in Stockholm. Happy news for Peter Jöback, who now once again finds himself on Broadway, where he has achieved success starring in "the Phantom of the Opera's" 30 anniversary. "Med hjärtat som insats" unfolds my life as Peter Jöback himself describes it, and is a tribute to bygone eras and the present narrated somewhere on the border between the language of film and stage expression. Peter Jöback and his creative team Hans Marklund and Magnus Renfors is the brains behind this grand music experience that is so unique in its kind that has given rise to a new concept they call "POPTEATER". Circus turn into an arena theater and the audience is thrown into the middle of the action epicenter. The show is limited as some of the scene's surface to the imagination, what exactly is dream and what is reality? We welcome you to an unforgettable evening - a different arena and total experience with music, dance, food and drink, premiering September 20 at the Circus, the show is played Fridays and Saturdays throughout the fall. "With the heart that effort" produced by: 2Entertain, Live Nation, Vicky Entertainment Production in association with Sinclair Entertainment.